International Music Summit (IMS), the three-day inspirational, educational and motivational thought-leadership platform held annually in Ibiza today announce full details of the summit; dynamic workshops, illuminating keynotes and timely discussions on the most important issues facing the electronic music industry today, led by 120+ leading electronic music artists and professionals. In homage to the recent tragic loss of one of electronic music’s brightest young stars the summit will open with a keynote address IN MEMORY OF AVICII delivered by IMS co-founder PETE TONG (BBC Radio 1, Broadcaster, UK), directly followed by SAFE FROM HARM – OUR DUTY OF CARE, a debate hosted by the ASSOCIATION FOR ELECTRONIC MUSIC where key industry figures will discuss why it is time to protect the health of global artists and not the wealth of global businesses. Other highlights from day one include the annual IMS BUSINESS REPORT, presenting the facts, figures and trends that matter the most in the industry plus the highly anticipated value of the electronic music industry, a figure always the focus of global media attention. Following this HONEY DIJON joins representatives from DJ MAG, AFEM and more to discuss SEXUAL HARASSMENT IN DJ CULTURE – HOSTED BY SHESAID.SO, an important debate exploring solutions to tackle this behaviour and to bring about fundamental change in dance music relating to diversity and inclusion. THE ANNUAL DIGITAL DEBATE assembles some of the brightest industry minds to assess the current digital landscape followed by BELIEVING IN BLOCKCHAIN and BLOCKCHAIN 101, essential viewing for anyone wishing to gain a deeper understanding of this new technology and the backbone for cryptocurrencies worth hundreds of billions; 15 YEARS OF ARMADA MUSIC provides a rare insight into one of the most successful and innovative labels in dance music from its co-founder and CEO; MIXMAG’S 5 UNDER 25 shines a light on the visionaries changing the shape of our scene and taking dance music forward. Not to be missed on day one is a KEYNOTE INTERVIEW from TODD ‘THE GOD’ TERRY, one of the most successful house music producers of our time, who will go deep into his journey from the toughest streets of New York to international fame. Day two of IMS Ibiza presents further unmissable sessions including THE CASE FOR: DRUG TESTING AT EVENTS – HOSTED BY THE LOOP, examining how drug testing impacts on harm reduction at large scale events. A KEYNOTE INTERVIEW with viral sensation BRADLEY GUNN RAVER will inspire all as he shares his story of how sober raving has led him to be invited around the world to bring his infectious, joyful dancing to global events. EMERGING PARTY DESTINATIONS brings together leading protagonists from Mykonos, Marrakech, Dubai, Tulum, Croatia and the Algarve in Portugal to find out the magic that is bringing thousands of new music tourists to their destinations. GIVE IT AWAY OR MAKE IT PAY assembles cutting edge industry figures to debate the full spectrum of business models and how the industry needs to evolve in a world where purchase price is a thing of the past. In MEET TEAM BLACK COFFEE the artist himself will be joined by leading members of his global team to reflect on his Ibiza residency at Hï Ibiza as it enters its second year and their strategic approach for the next phase of his career. An exciting new addition to the schedule on day two is FIRST ON SOUNDCLOUD: CELEBRATING INCLUSION, DIVERSITY AND COMMUNITY IN ELECTRONIC MUSIC, an intimate discussion covering the importance of community in music and creator communities, as shared through the experiences of Room for Resistance (R4R), a Berlin-based queer femme/non-binary forward collective focused on community-building and creating safer space & visibility for underrepresented artists in Dance Music. 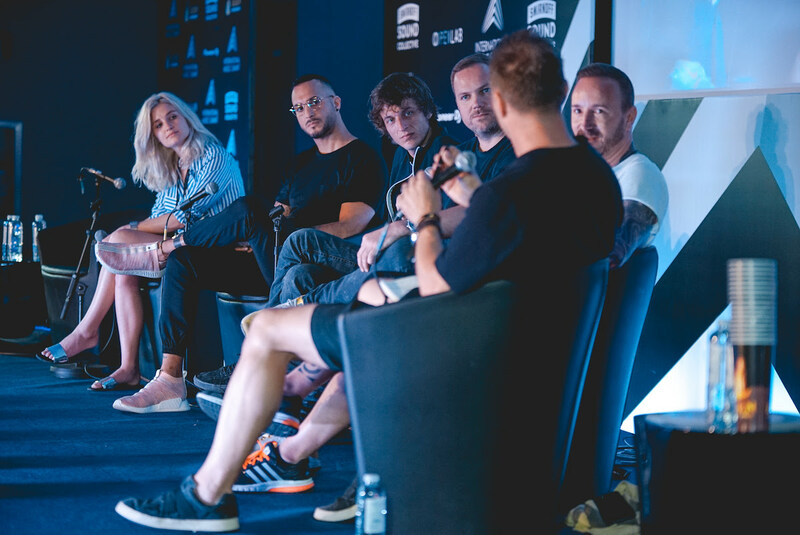 Day two comes to a close with two sessions celebrating milestone achievements for two UK labels at the top of their game; 15 YEARS OF TOOLROOM RECORDS – INSPIRATION & INDEPENDENCE and 25 YEARS OF RAM RECORDS – DEFINING DRUM & BASS. The final day of IMS plays host to BLACK ROCK CITY x IBIZA: CULTURAL OPPOSITES OR KINDRED SPIRITS, where lovers of both communities come together to explore and dissect misinterpretations of two culture creators, followed by THE ANNUAL IBIZA DEBATE, a discussion that never fails to spark passionate responses. 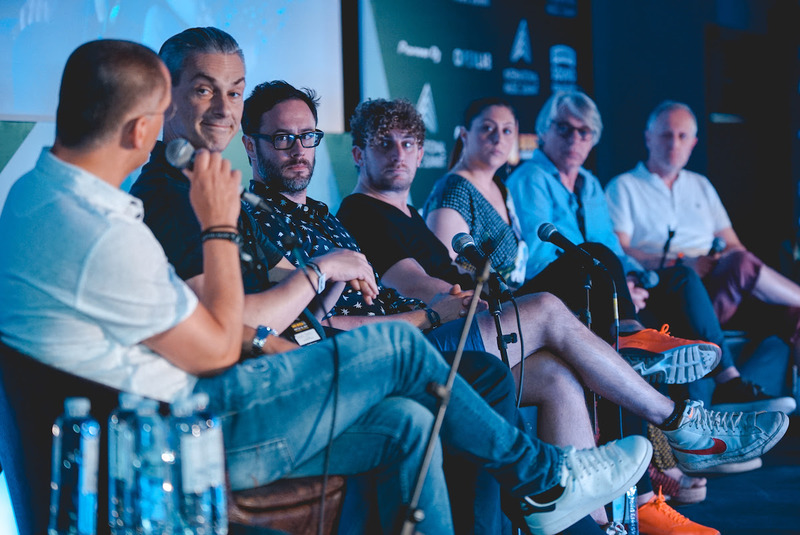 Day three of the summit brings further milestone celebrations for legendary electronic music brands, with 25 YEARS OF SONAR – SHAPING UNDERGROUND CULTURE and 25 YEARS OF POSITIVA RECORDS – THE CHANGING FACE OF A&R. Juggling the demands of a career in the music business with family and home life is the focus of PRACTICAL PARENTING on day three, hosted by SHESAID.SO, a session not to be missed for anyone balancing these elements of their life and looking for support and guidance on how to thrive in both the professional and personal worlds. Ending the final day is a KEYNOTE INTERVIEW with one of the most successful and respected artist managers in the electronic music business DEAN WILSON, who will be followed by a closing KEYNOTE INTERVIEW live from the recording studio of Joel Zimmerman aka DEADMAU5 and TESTPILOT, an outspoken and visionary artist who will take part in a revealing discussion on all aspects of the past, present and future of his career. The 11th edition of IMS is set to be one of the strongest years of the summit, with three days of the best electronic music content and networking available to delegates, daily influencer breakfasts at TATEL RESTAURANT, free YOGA & WELLNESS sessions, access to over 20 NETWORKING EVENTS and IBIZA OPENING PARTIES plus the IMS LEGENDS DINNER paying tribute to UNDERWORLD and featuring an exclusive live show at HEART IBIZA and the ultimate Ibiza party under the stars at IMS DALT VILA.